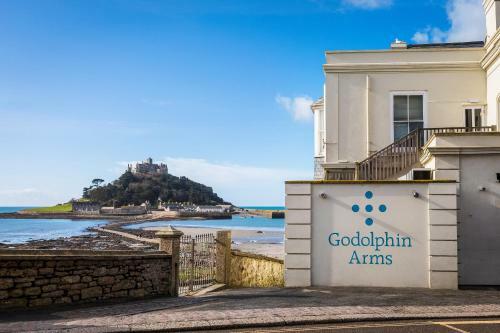 The Godolphin Arms is a beach-front, contemporary restaurant with rooms, in the heart of Mount’s Bay. With breath-taking views of St Michael’s Mount, one of Cornwall’s most iconic landmarks, it’s the perfect base for exploring West Cornwall. 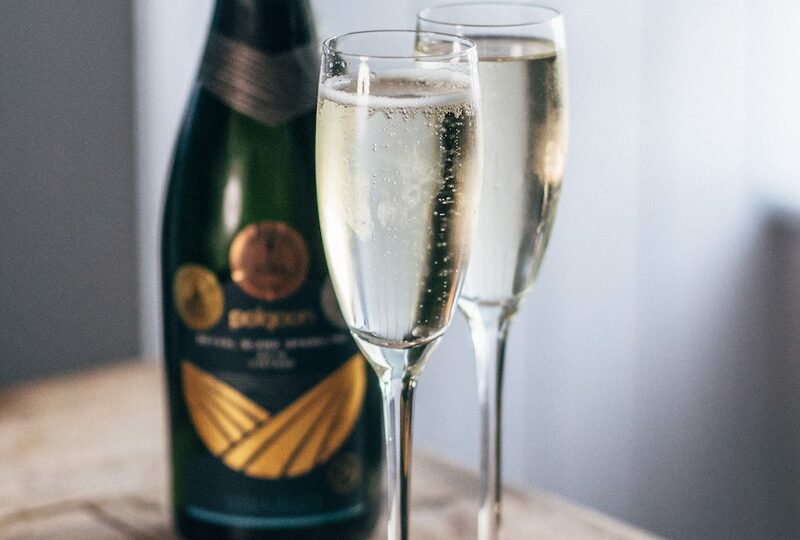 It’s also a five minute drive from Polgoon vineyard – making it an ideal place to stay if a Cornish wine tour is on your itinerary! The hotel is located in the small town of Marazion. Ideally positioned on the beachfront directly opposite St Michael’s Mount, offering a gateway for anyone wishing to visit the tidal island. 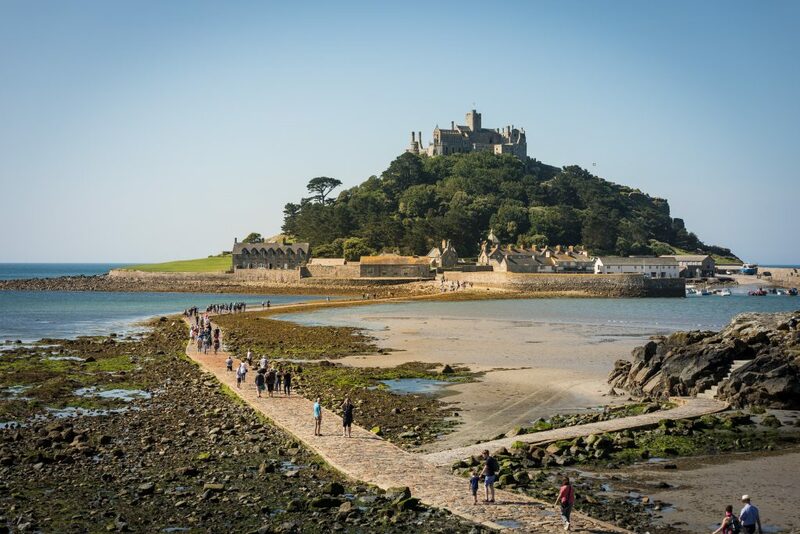 At low tide, guests can walk the ancient cobbled causeway across to the Mount; or take the little ferryboat when the tide comes in. The coastal location inspires the interior design, bringing the outside in. 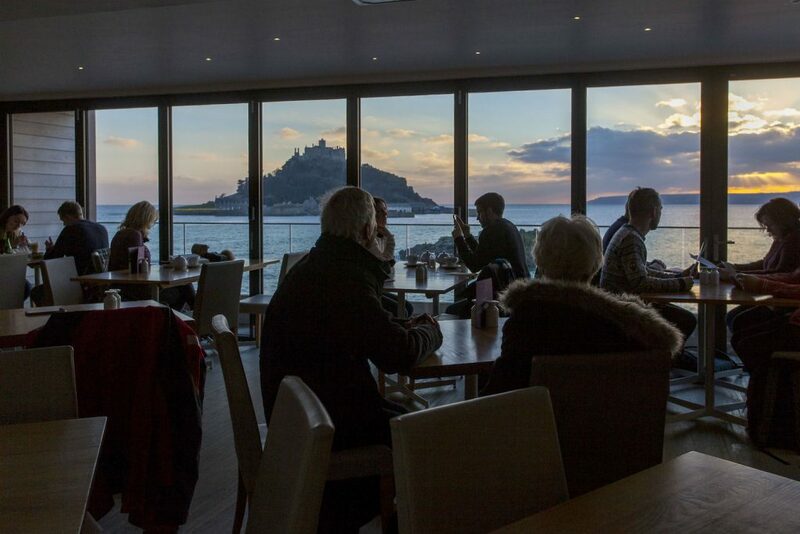 The light-filled dining area at the centre of the Godolphin opens out onto a balcony upstairs and a terrace below, both with vistas across to the Mount. 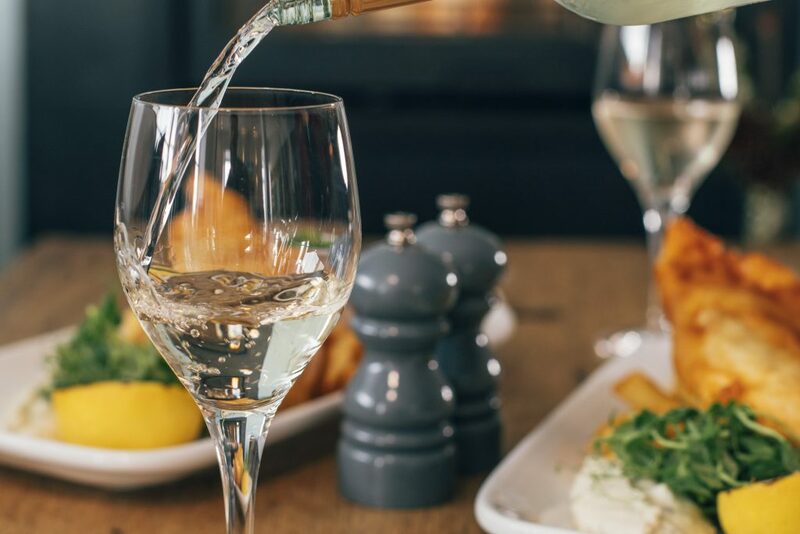 The perfect spot for a romantic, Cornish sundowner – perhaps a glass of our Seyval Blanc Sparkling wine whilst the sun sets behind the castle? If you’re seeking the ultimate Cornish water-front lifestyle, you won’t find a better location! Booking details here.